All Grayson fuel tanks are engineered to the highest standards, using extensive 3D CAD modelling and regular engineering reviews of designs to identity and re-engineer potential failure points. With more than 30 years’ experience, we know that vehicle operators cannot afford the waste, downtime and threat to their reputation that leaking fuel tanks will cause. Grayson carries stocks of a wide range of replacement fuel tanks for ADL, MAN, Optare, Scania, VDL and Volvo vehicles, and offers overnight delivery for all stock products. And our stock product range is only the start. If you need something that we haven’t already got covered, we can purpose-build any fluid tank you need, whether you operate a 30 year old bus or are building the very latest coach. Grayson’s expert fabrication team can make parts to your specification; we’re specialists at extending fuel tank capacities and fitting fuelling aid equipment. With two dedicated manufacturing facilities, Grayson has the ability to cut, machine weld and powder coat parts in-house, so we can guarantee that your product has been designed, manufactured, finished and shipped to our own exacting standards. 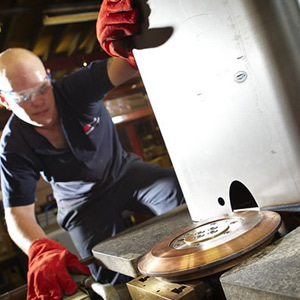 Whether you want your tank made from mild steel, stainless steel or aluminium, Grayson can handle it. We recommend a tough powder coat finish to add an extra layer of protection against external corrosion and, whatever you choose, we’ll back it with a two year warranty so you can fit it, and then forget about it.